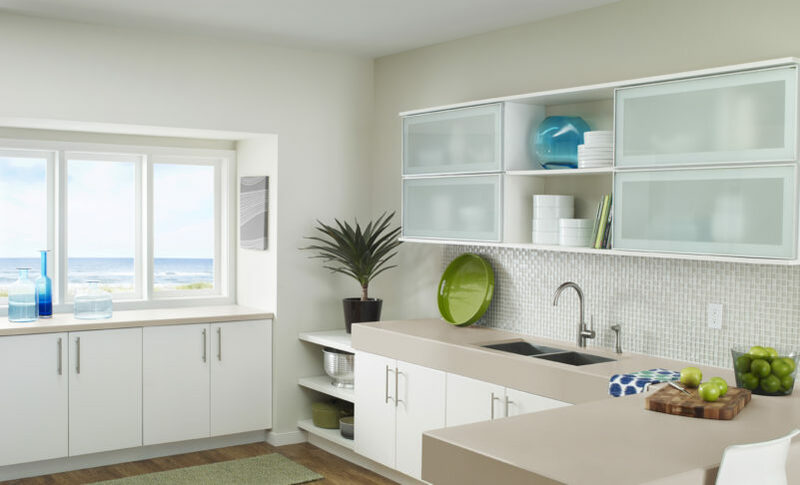 Solid surface countertops are made mainly from acrylic and polyester. This material is a durable, seamless, stain resistant, and heat resistant. In addition, because solid surface countertops don’t have any grout, sink lip, or seam gaps, this material is super easy to keep clean. Perfect for everyday use, the solid surface countertops that FLOFORM prefers (Corian) comes in more than 110 colors – more than any other brand of solid surface. 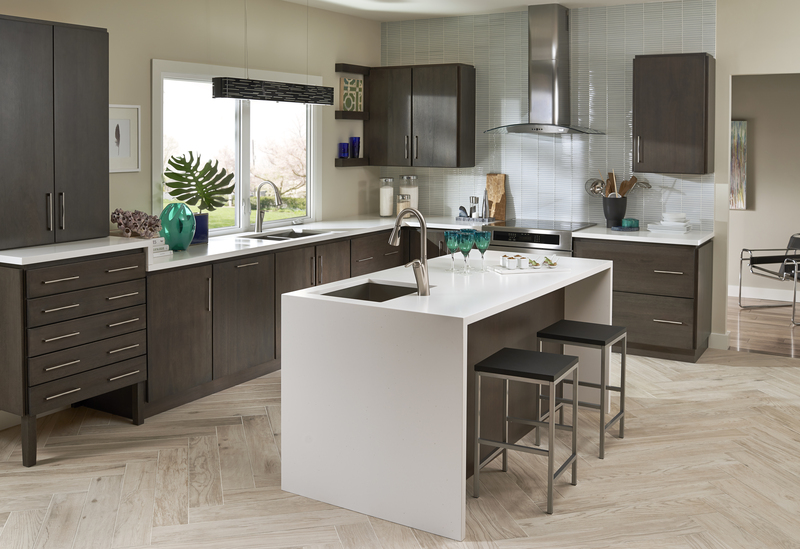 And because the color is consistent throughout the entire countertop, it is easy to remove scratches and marks on this material… making your countertop longer-lasting and more resilient to frequent use. Even better: these countertops are nonporous, meaning that you won’t have to worry about stains and grime ruining your counter. 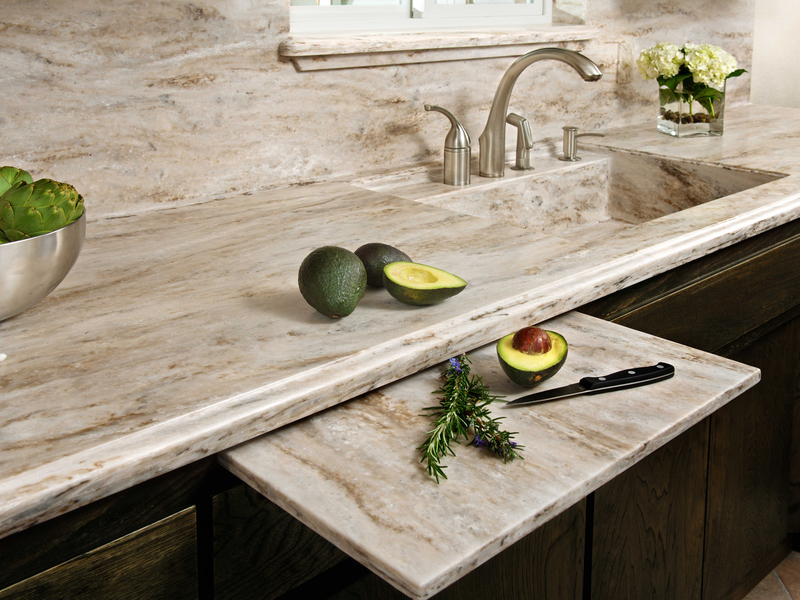 As a low maintenance countertop, this material is one of the best for young families and starter homes. Solid surface is a stylish choice and matches well with all kinds of other materials to fit your personal style and design flair! 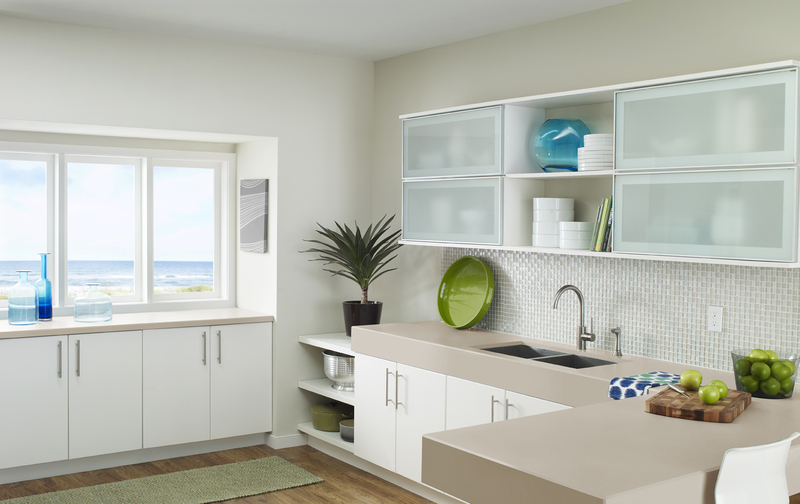 Check out our gallery of solid surface kitchens for inspiration to make your kitchen the true heart of your home.